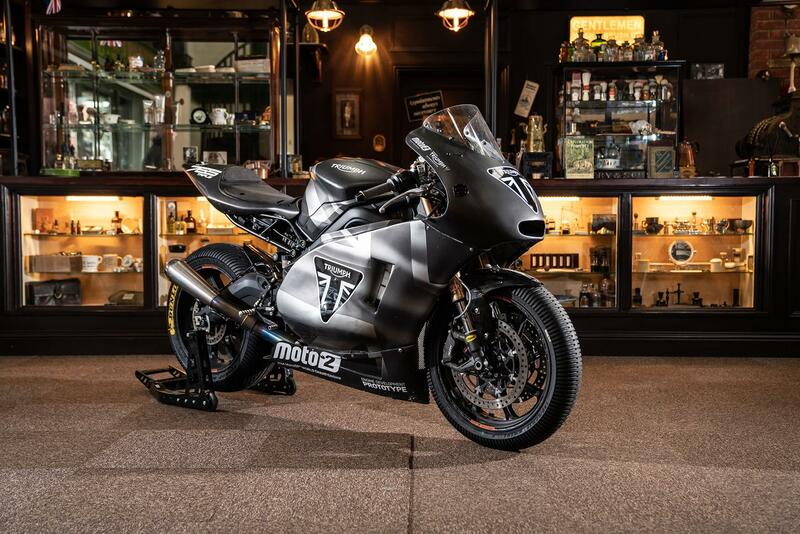 But thanks to Triumph’s new Moto2 tie-up, Norton’s brand new Atlas and Superlight TT bike as set to be raced by TT legend John McGuinness next June, all of that is now true. Nor is that the end of it. 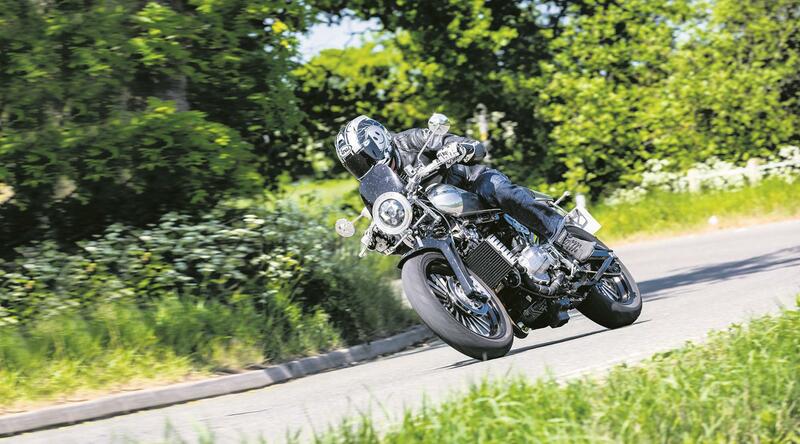 Triumph, thanks to bikes such as the latest Bonneville and 765 Street Triple, have had their most productive year ever. While Motorcycle Live visitors couldn't help but be impressed by the sheer scale of British manufacturer presence; not just from Triumph and Norton but the likes of CCM and Ariel as well. Ariel’s latest ‘Ace of Diamonds’ shows the boutique, Somerset firm can compete with the world’s most alluring and innovative machines. While, up north, CCM’s Spitfire, as recently bolstered by a new tie-up with WSB great Carl Fogarty, has latched on to the current retro scrambler vibe better, arguably, than anyone. And all of that combined is worth celebrating. So stand up, push out your chest and raise a glass of festive cheer to the best of British motorcycling. Here’s why they’re worth it. Triumph’s relentless bid to sit at world motorcycling’s top table is almost complete. Recent bikes like the reborn Triumph Bonneville and world-leading Street Triple have fuelled production growth over the last 10 years from around 39,000 bikes to over 60,000 last year; enough to be knocking on Ducati and BMW’s back door. But in 2019 Triumph are set to go one better still with a hugely anticipated return to grand prix racing. In 2019, Triumph enter an all-new era as official engine supplier to the Moto2 series with a specially-developed version of the Street Triple’s 765cc triple; and it’s already been impressively received. That means, come March, Britain, once again, will have a grand prix winner. No small feat. Nor does it end there. Triumph this year also opened their spectacular Visitor Experience museum, one of the world’s best, while their bikes continue to star in movies such as Jurassic World and a land speed record bid, possibly with Guy Martin, remains on the cards. Who could ever have imagined all of that just a few short years ago? Not really. Yes, back in 1951, after the BSA takeover, combined sales made it world No1, but they never challenged in GPs while the Bonneville land speed record bid was mostly a dealer project. Let’s not talk about the dismal 1970s. Are there any celebrities who ride a Triumph motorcycle? Take your pick: Marlon Brando and Steve McQueen in the ‘50s/’60s, more recently Tom Cruise and Angelina Jolie in the Mission Impossible movies and the likes of Prince William, Hugh Laurie, Michael Fassbender and Bradley Cooper on the street. John Bloor initially bought Triumph Meriden for the factory site. Bloor Homes demolished the old factory. You can’t help but admire Ariel. Based in rural Somerset yet using state-of-the-art performance technology and components, automotive firms don’t get any more British. And with the astonishingly explosive Atom car as their bread and butter, they’ve also a sporting pedigree few can match. 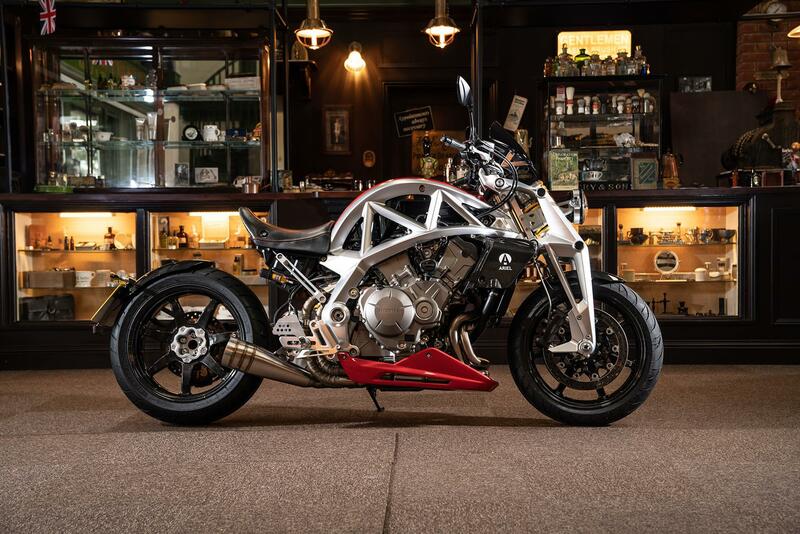 Which is partly why the addition of the reborn marque’s first motorcycle, the Ariel Ace, in 2014 was so special. With its tuned Honda 1200cc V4, unique exoskeleton frame, girder forks and striking styling, modern British bikes didn’t get any more distinctive or, thanks to its 175bhp, potent. So, the fact the small, highly-skilled firm continues for 2019, not just with the Ace but also the even more potent R and recently unveiled, limited-edition Ace of Diamonds is good news indeed. You might not see one on a street corner any time soon, but boy are we glad they’re out there. 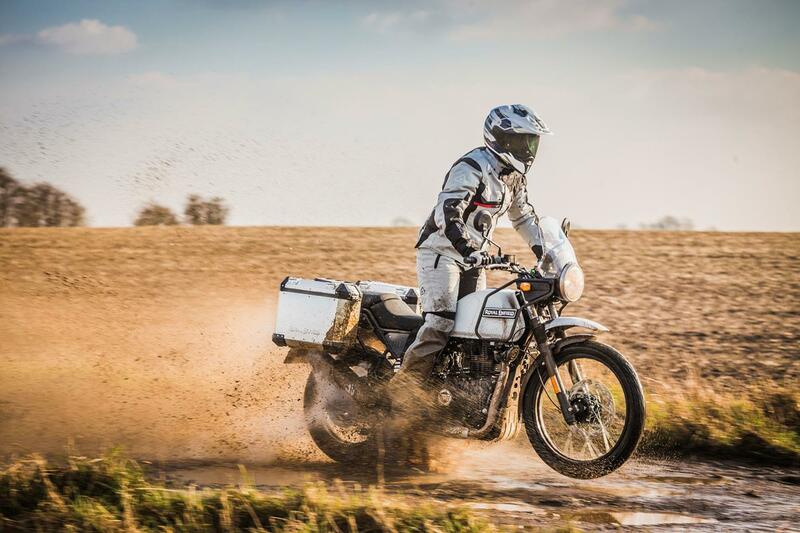 British bikes simply don’t get any bolder. Not so much riders or racers, more designers. The original Square Four, for example, was penned by celebrated engineer Edward Turner who went on to also design the Triumph Speed Twin; the bike that became the basis for the legendary Bonneville. BSA closed the original Selly Oak, Birmingham Ariel factory in 1962. It was finally demolished in 2000 to make way for student accomation for nearby Birmingham University. Ariel Aquaduct nearby was named in its honour in 2011. The original Ariel Square Four, built between 1931 and 1959 was also an innovative, British four-cylinder bike. 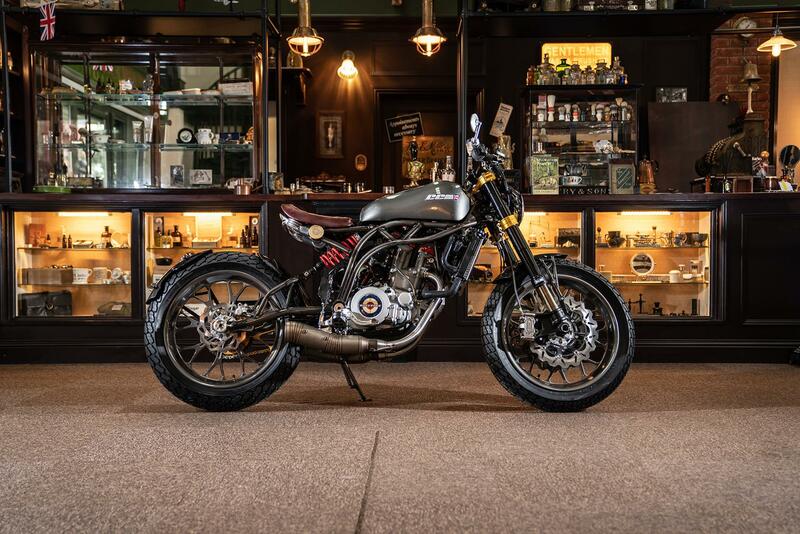 No bike better demonstrates the trait of a plucky British underdog better than CCM. Formed at a time when four-stroke motocross bikes were being thrashed by exotic two-strokers, the Bolton firm gave thumpers one last great hurrah in the early 1970s before embarking on a roller-coaster of fortunes over the next 40 years. The highlights, in that period, being Niall Mackenzie’s Armstrong 250 racer in the early ‘80s and a variety of supermoto singles in the early noughties. But now, back in Clews family control once more, CCM’s prospects are the brightest they’ve been in a generation. The bespoke, funky, tubular-steel frame Spitfire launched last year has hooked onto the whole British café racer and scrambler thing better than a Bike Shed full of hipsters. Better still, it’s proving such a success, no fewer than eight different variants have been produced since, ranging from nine grand to over £18,000. Long may it continue. Are there any celebrities who ride a CCM? John Banks (‘70s), Niall Mackenzie (‘80s), Carl Fogarty (today). James Blunt has one, too. GP star Niall Mackenzie rose to fame aboard a carbon/Kevlar monocoque Armstrong 250 between 1983 and 1986 made at the current CCM works in Bolton. 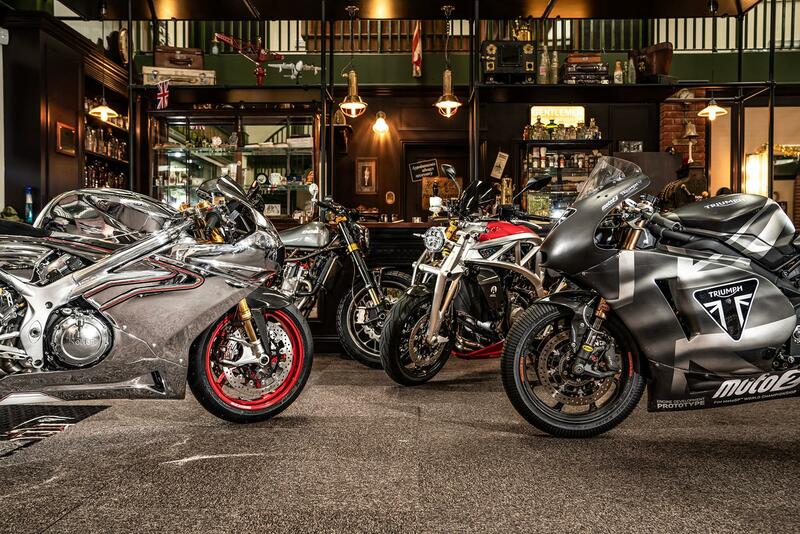 There’s no greater Brit bike resurgence story than that of Norton. And the Donington firm have just scaled the biggest heights of all with the NEC unveiling of not just the 650 Atlas (which, at under £10k, is a game-changer for the firm) but also its new 650 Superlight which, along with the V4 superbike, gives them their biggest chance yet of TT success in a generation. And when you add-on the commencement of production of the flagship V4 RR, their biggest NEC stand yet plus the prospect of John McGuinness starting No.1 in next year’s Senior TT aboard the race version, it’s amazing to think just how far Stuart Garner’s firm have come. Bought 10 years ago as little more than a box of prototype bits and some branding rights, the Norton story is comparable to that of reborn Triumph yet very different in approach. Without Bloor’s millions, the first Nortons, Garner would admit, were a little rushed into production while his TT racing ambitions were equally premature and overstated, both prompting criticism. 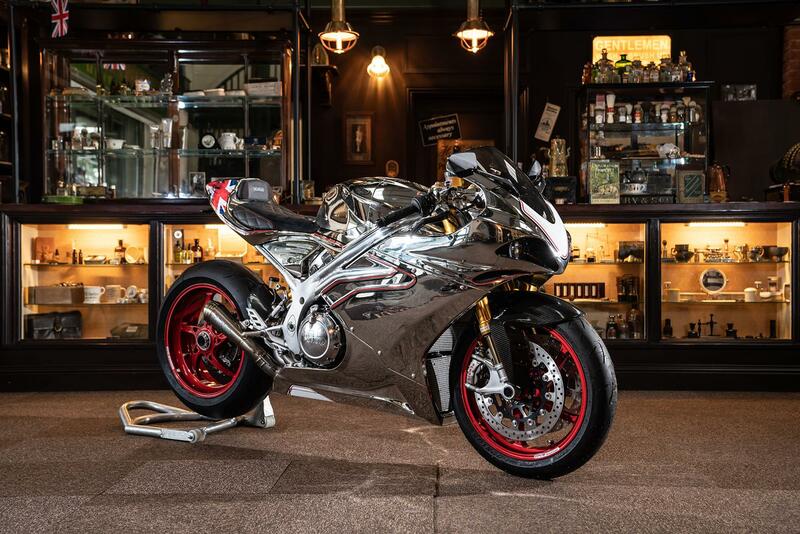 Now, however, with a fifth place for Josh Brookes in this year’s Senior under their belt, a fit McGuinness and the new Superlight for next year, plus the Atlas and V4 ranges taking shape, Norton have never had it so good. Steve Hislop won on a (private) Norton in 1992, but the last time Norton were a TT force as a mainstream sports manufacturer was in the 1950s, winning every year between 1947 and 1954. Are there any celebrities who ride a Norton? TT royalty doesn’t get much better: Rem Fowler won the first ever TT in 1907 aboard a Norton twin, Stanley Woods dominated in the early ‘20s, Jimmy Guthrie in the ‘30s, Geoff Duke in the ‘50s and even Mike Hailwood won in the ‘60s. A brief repeat came in 1973 when Peter Williams won the TT F750 aboard the JPS monocoque before Hislop’s shock victory in 1992. John McGuinness has a lot to follow. Norton are third in the all-time TT winners list with 94 victories. Triumph have just 21. As everyone knows, modern Royal Enfield, although originally from Redditch, are today Indian-owned and re-acquired the Royal Enfield name in 1999. As such they’re about as British as a chapatti. Yet that’s not the whole story. Re-invigorated by new CEO Sid Lal and now with global ambitions beyond its original, antiquated singles, an all-new, multi-million pound R&D facility has been established at Bruntingthorpe, Leicestershire (staffed by more than a few ex-Triumph personnel), Harris Performance chassis nous was snapped up and more modern, retro style bikes like the 650 Continental GT and Interceptor are starting to flow. So British? Sort of. There’s arguably no more British biking name than Brough. The ‘Rolls-Royce of motorcycles’ was the ultimate in the ‘20s and ‘30s and remains so on the classic scene today, which is why a revival under brand-owning Brit Mark Upham in 2016 caused a sensation. But with design, engineering and production courtesy of Thierry Henriette’s Boxer Design in Toulouse, France (rather than in Nottingham, which is where the originals were built), their true Brit credentials are perhaps a little sketchy. Non?